I am a solicitor and founder member of the company. Since qualifying in 1985 I have practised in most areas of law. As time has progressed I have concentrated on helping the elderly with their legal and financial affairs and the recently bereaved. I am passionate that clients should receive fair, unbiased advice to help them make an informed decision about the future. I am an active member of the Solicitors for the Elderly. I am a former trustee for Age UK Enfield and give my time free to advise at a clinic run by Enfield Over 50’s Forum. When not at the office, I can be found at home trying to fix things with my two left hands, screaming at the TV whilst watching the best football team in the world (Arsenal), trying to do karate or getting hot and sweaty on a yoga mat. I qualified as a solicitor in 1989 and I am a founding member of Stennett & Stennett Solicitors and Stennett Properties. In the early years of the business I practised family and housing law and as the business grew I became the managing director. Having to juggle running a business and raising a family made me well skilled in multi-tasking. I am a Solicitor with 14 years’ experience specialising in residential and commercial Conveyancing, dealing both in freehold and leasehold properties, refinance, and collective enfranchisement work. I have worked with a wide range of clients from various backgrounds. No matter is too small or too large for my expertise. Outside the office, I enjoy visiting various art exhibitions, historical places of interest, gardening and reading. I have had a varied career over the years and worked in banking and also for expert witnesses. I have worked in law since 1999 and covered many different areas, but my love is Elder Client and Probate Law. 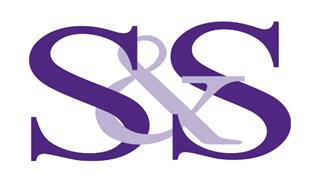 I joined Stennett and Stennett in 2005 when the firm first moved to Southgate and have worked here for over 12 years! I joined the firm as a legal secretary and I am now a private client legal assistant. I enjoy meeting new people and hearing their stories. I regularly attend the weekly Free Advice Clinic at the Dugdale Centre, Enfield on behalf of the firm. Outside of work, I am studying for my LLB (Hons) as a mature student with the Open University. I am engaged to my fiancé and trying to plan our wedding (if I can pin him down on a date). After my daughter started university I found myself with more time on my hands so I decided to work full time. I joined this company as a Legal Cashier and Book Keeper two years ago although I need to understand all the general accounting principles and practices I also had to be specially trained in financial areas unique to the legal profession as this work requires strict adherence to the SRAs Accounts Rules. My main responsibilities at the company are Filing and producing financial reports for management, Completing VAT returns, Credit Control just to mention some. I believe I am a methodical person, self-motivated and able to organise own work with minimum supervision delivering work output to the required standard. Arts and crafts, salsa music, walking, photography, travelling and meeting new people I think these are the best way to disconnect from all the pressures in life. I am the Office Administrator within the firm. I work closely with the Private Client Team and the Conveyancing Team. I have twelve years office experience working within variety of sectors. Outside the office I am a keen baker and enjoy making cakes and treats for family and friends, I aspire to be as good as Mary Berry or Buddy Valastro (in my dreams). I also enjoy travelling and make it my mission to travel somewhere new each year. I adore exploring different cultures and most importantly tasting new foods. Family is important to me and I try and spend as much time with them as I can. I am the Receptionist and Administrator. I have been a member of St John Ambulance since 2009 and in my free time I attend training and volunteer as a first aider at local events. When I am out of the office, I enjoy watching movies at the cinema and Netflix (huge Marvel fan). I enjoy visiting museum exhibitions and public lectures, socialising with friends and colleagues. I enjoy travelling to other countries, where I hike up mountains and enjoy the view from the top. I love meeting new people and learning their culture.